Dr. Don Hudson, the Chair of the Maine-Aomori Sister-State Advisory Council (MASSAC), and Mr. Henry Prosack, President of Friends of Aomori, had a Skype video meeting with the Aomori Prefecture International Affairs Division on September 25, 2013. It was delightful to see members of the International Affairs Division that we had not met previously. The meeting focused mainly on planning for the 20th Anniversary Celebration. All parties have agreed that Aomori Prefecture will host a Maine delegation in Japan in 2014! The main themes of the delegation are planned to consist of ocean energy, fisheries and aquaculture, education, and the 20th Anniversary of the Maine-Aomori sister-state relationship! We would like to thank Aomori for their understanding of our cancellation of the October visit this year. We remain dedicated and strong to the cause, and are eager to enhance the sister-state relationship to new heights. 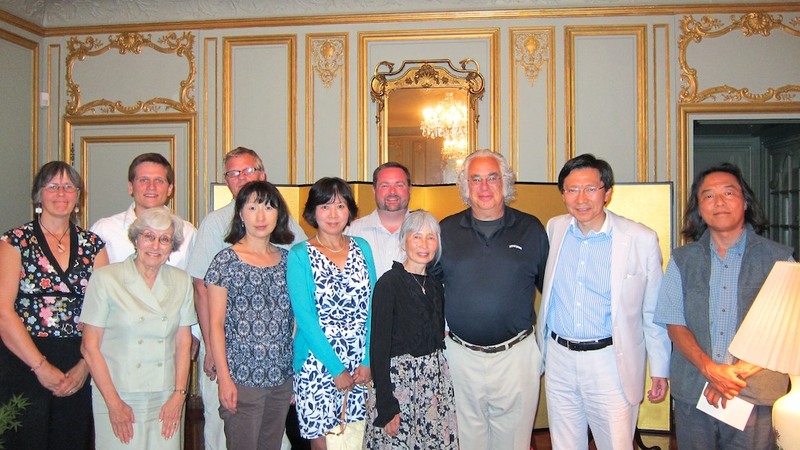 MASSAC and Friends of Aomori look forward to further ties, establish new connections, and provide additional benefit to the citizens of both states. Skype meetings with the International Affairs Division will be conducted on a regular basis in addition to our routine email communication. Our website will be updated frequently with the progress and activity of both MASSAC and Friends of Aomori. 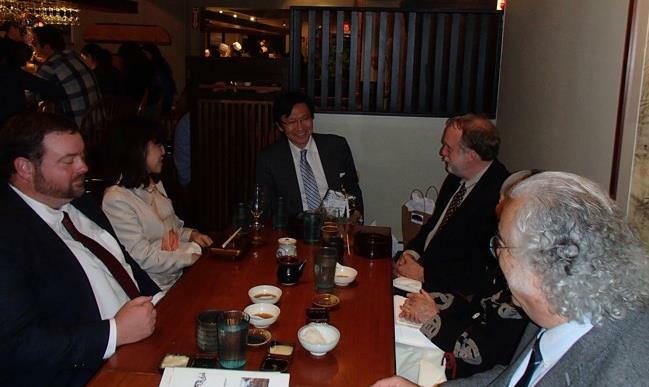 On May 10, 2013, Japan America Society of Maine, Friends of Shinagawa, Bath-Tsugaru Sister City Program, MASSAC, and Friends of Aomori invited Consul General Muto and Mrs. Muto from the Consulate of Japan in Boston for dinner at Yosaku Japanese Restaurant in Portland, ME. It was an honor and pleasure to dine and discuss the Maine-Aomori and the Maine-Japan relationships with Consul General Muto! We look forward to further communication and collaboration with the Consulate in Boston. Thank you Mr. and Mrs. Muto! Your visit was delightful! We hope you visit Maine again!